Situated near the Lower Tank Bund road, quite close to the Hussain Sagar Lake, Indira Park lies in the heart of the city. 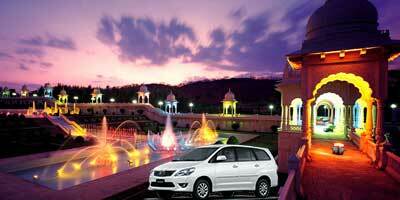 Spread over an area of 76 acres, it has been named after the former Prime Minister of India Mrs. Indira Gandhi. 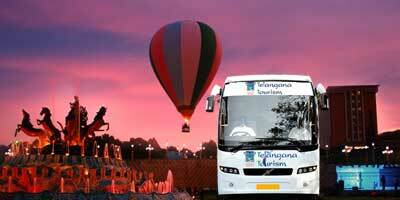 It is considered to be one of the oldest parks of Hyderabad. 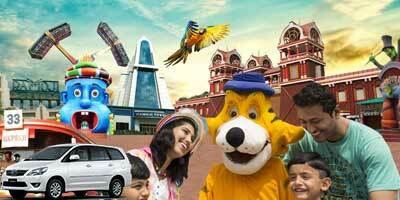 A popular tourist place in Hyderabad, Indira park is quite popular among everyone. It is an ideal place if you want to spend a few moments with nature, away from the chaos and pollution. 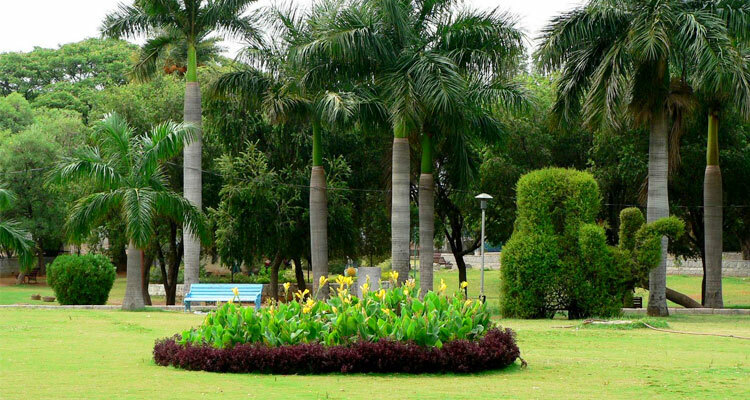 This park is now maintained and managed by the Hyderabad Metropolitan Development Authority. In the year of 1994, various other sections such as musical dancing fountain and waterfalls were added to the park, further enhancing its appearance. Again during the years 2000-2002, Indira Park Hyderabad was renovated when a few more features were added to it. Now, you can find an expansive tennis court inside the Indira Park. Living rock sanctuary which showcases many amazing rock sculptures is another attraction of the park. New varieties of roses have also been added to its breathtaking rose garden, increasing its beauty by many folds. Indira Park is perfect for small picnics and hangouts with friends or family. You can also just sit and enjoy its refreshing natural beauty. Lush greenery, beautified with carefully maintained garden and dancing fountains, make this park a place that is worth visiting, a perfect destination of admirers of natural beauty. It is also dotted with many food stalls, offering ample of choices for a quick bite. Indira Park has many attractive features, which can keep you busy even throughout the day. 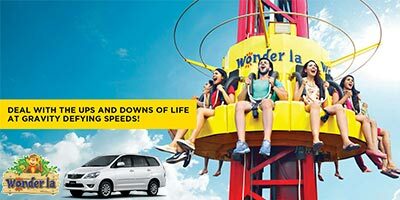 Computerized musical fountains, amazing rock garden, and nursery, where you can even buy plants, are a few of its features which will keep you pleasantly busy here at the park, while boating at Hussain Sagar and musical fountain show will keep you entertained in evenings. For children, there is a separate play area with mini toy train. There are also facilities of boating here at the park. Facilities of fishing at the pond are also available. Skating at Indira Park is another reason which draws visitors from every corner of the city. For early morning visitors, there is a jogging track on the sides of the park. Many people can be seen taking long walks along the path, starting their day with refreshing surrounding of the area. Birdwatchers can spend time spotting various species of avian fauna. Indira Park has a rich fauna as well as flora. Along with date palms, mango trees, blackberry trees, and kevuda plantations, you can see sandalwood trees across the park. This park is open on all days throughout the week. Entry timings for Indira Park are from 8.30 am to 7.30 pm. There is a minimal entry fee of Rs. 5 per person. It is also situated close to the Katta Maisamma Temple, which is dedicated to the Goddess Maisamma. If interested, one can club his/her visit to the park with the temple. The best thing about Indira park are the activities. There are lots of things to do here at Indira park. I go there often. Its rose garden is beautiful, there is rock garden too. I usually go for jogging early morning, it's very refreshing at that time and not crowded. In morning there are yoga demo classes too, free of cost. You can go in evening too for small picnic or play some games, they have fishing facilities and skating rink too. I went to here recently. I really liked this park. There is a negligible entry fee to Indira park. It remains open till 7.30 pm, so i went after office. It was little crowded but even then i got nice place to sit there. It is huge, lots of trees and flowers, some nice rock sculptures too, and some play options just for kids. Overall one of the best park i have ever visited. 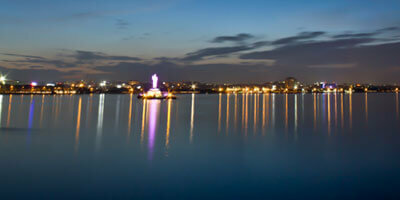 Indira Park is located close to Hussain Sagar Lake, in the Tank bund area. This has too many options for activities, there is fishing, boating, its rock garden and rose garden are quite beautiful to see but in spite of all this it is not well maintained. It is so huge and mostly crowded, authorities can actually maintain it properly and make it a better park. Indira Park is located in the middle of the city, it is very easy to reach here. We stay close by so for us, it is usual spot to go with family for picnic or just for some hours in evening. Timings for Indira Park are also quite suitable for us, it is open upto 7.30 in night so you can spend time leisurely. Inside the park, you get green space to sit and play, right in the middle of city! There are games for kids and some for adults too. It is best in mornings. Indira park of Hyderabad has almost everything, but nothing in good condition! Its musical fountain doesn’t seem to work properly. Some boats in the small lake in the middle of the park. I found everything so so, nothing special. A good place for walking though. Its timings are from 8.30 to 7.30. there is facility of skating at Indira park too, but I didn’t try it not sure how it is. Indira park is huge and nice green but it is now not at all maintained, there was no boating when we went, the water of the lake was stinking. It was dirty. Earlier there used to be varied kinds of bird to see here but now you can not spot many birds. Because of lack of maintenance this park losing its charm.